Well the rugby league fans in Australia will be very happy with the win against the Kiwi side for the 2013 World Cup I reckon. No doubt there were celebrations a plenty around the country. I for one was a little too tired too pull myself out of bed to catch the game. 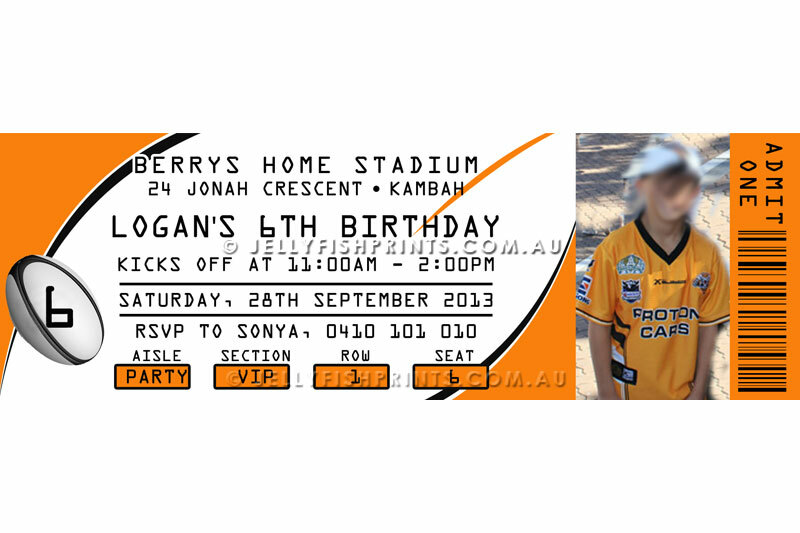 If your little NRL fan is keen on having a footy themed party for their birthday then these Rugby league party invitations that you can find in our shop are be just what you need to set the theme with your guests. 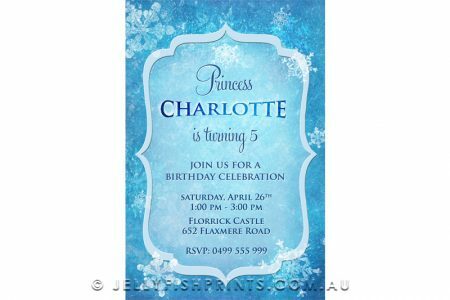 They are printable so you can print off as many as you like once we have personalised the design for you. We’ve styled these invites to have the look and feel of a game ticket. You can customise the wording to suit. 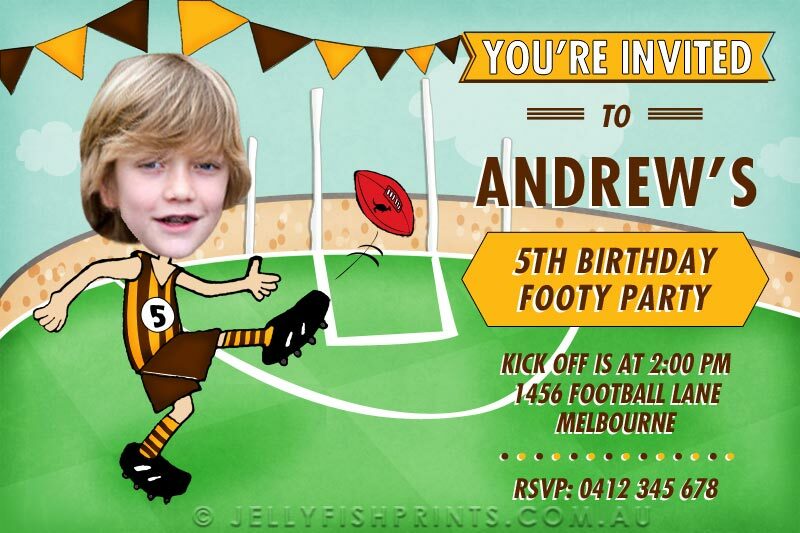 Notice that we managed to work in a few footy related terms like the party “kicks off at 1pm” The age of your child (or guest of honour) is displayed on the left hand side in a football graphic. You can also display the age in the ‘row’ or ‘seat’ area at the bottom. Your child’s jersey number is an alternative number you may like to display in the ‘row/seat’ area as well. 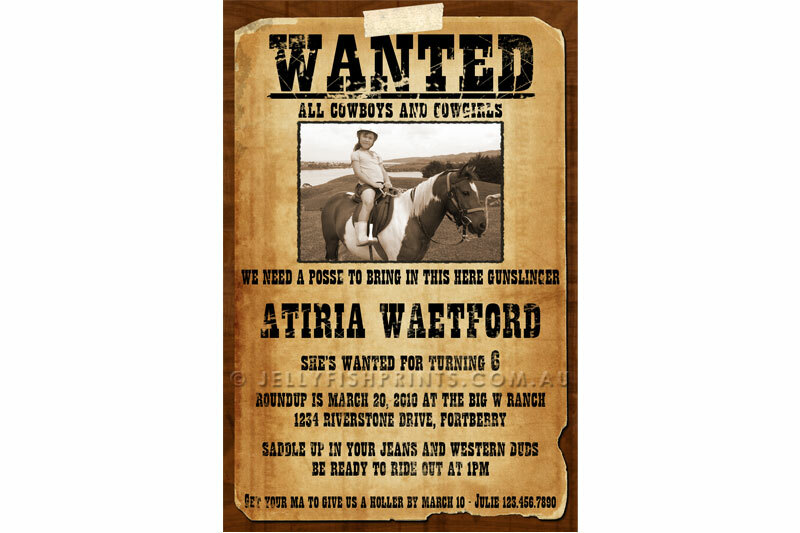 A photo of the guest of honor can be inserted. An action shot on the field would be good or a picture of them dressed in their team kit or a jersey of their favourite NRL team. Not just for the kids either. They’re also great for the adult footy fans too celebration a birthday. For more Rugby League party inspiration check out our Rugby league pinterest board. We’ve pinned lots of ideas to make and products to buy from sites and shops around Australia.